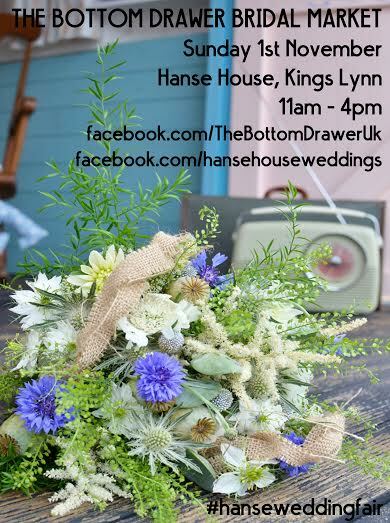 The newest Wedding event from The Bottom Drawer Bridal held here at Hanse House! The Bottom Drawer Bridal Market is the first Wedding Fair of many to be brought to you by The Bottom Drawer Weddings & Events. The wedding fair will run between 11.00am and 4.00pm. Entrance is FREE. Brides and visitors are encouraged to register at the door on the day of the event or online prior to their arrival and receive their FREE Gift Bag. Brides/Grooms: Pre-register your information (https://www.eventbrite.co.uk/e/hanseweddingfair-registration-18423625560) and grab yourself a FREE Gift bag from Confetti.co.uk! !